Competitive sailing representing your own high school. Varsity letters can be earned. Requires some travel. 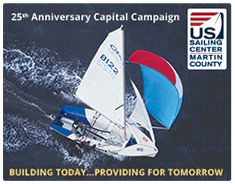 Program is open to first time sailors. Varsity, JV and Training Level Sailors and needed. Prerequisite: Students should have a desire to train for competitive racing. Sailing is cooperative team work that teaches self-discipline, hard work and personal integrity. 8th Grade Students wishing to enroll in High School Sailing must also register for Middle School Sailing. There is a price credit where the Fall Middle School Fee may be credited towards the HS registration fee. To receive this credit, inquire in the office.